Our Meeting Houses are pleasant venues for meeting and events. We are pleased to hire rooms to others when they are not in use for Quaker activities. Our users include faith groups, public sector groups, charities, individuals, and some for-profit activities. We offer reasonable rates for both regular and one-off use. We reserve the right to refuse a booking if the hirer’s activities or aims are in conflict with Quaker values. Note also that our Meeting Houses are not licensed for public entertainment, so no charges may be made at the door to members of the public. 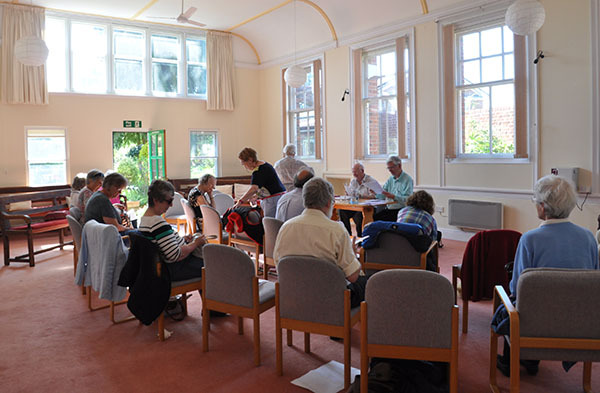 Each Local Quaker Meeting in the Mid Thames Area manages its own room hire, and all building users must agree to the local terms and conditions of hiring. Follow the links below to find more details about the place where you would like to hire a room.